What are the language and the Units used in AquarioGest software? AquarioGest is available in English. The common names in the Fish, Plants and Invertebrates Atlas are also in English. About the units, you can choose, at the first launch of the software, the units system which you want to use : US, Imperial or International units. The date format and the currency are the same settings of your Windows Operating System. How many aquariums can I manage with the software? The number is unlimited and you can easily manage several tanks at the same time. Can AquarioGest be used for marine and reef aquariums? 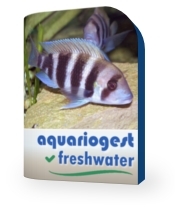 We have created a saltwater version of AquarioGest to manage your reef and marine tanks. Can AquarioGest operate on an Apple system? No, AquarioGest is developed for a Windows Operating System only. Is there a free trial version that can be downloaded to try the software? There is no trial version because the software is largely presented	here. The minor update version are free (and downloadable for the Live version). For the major version, you receive an update offer with a price reduction. Why do I need an internet connection to use AquarioGest Live? You need an internet connection to the license verification and especially to download the pictures of fish, plants & invertebrates in the Atlas. The software is licensed per machine. Each purchased license can be activated on one machine at a time. Do you always need to be online to input data? You don't need to be connected to input data. You must just be connected at launch of software for the licence verification. If your Internet connection is slow, you should prefer the CD-Rom version because you don't need to have an Internet connection. Where are the data stored, locally on my PC or on your Web server? Your data are stored locally on your PC. The software includes a backup and restore tool. Is this a one off payment or subscription per year? The price is one-time cost on this Order page.